15th Anniversary Sale! This Sat., Oct. 24th! Join us this SATURDAY, OCTOBER 24TH as we celebrate our 15th Anniversary! 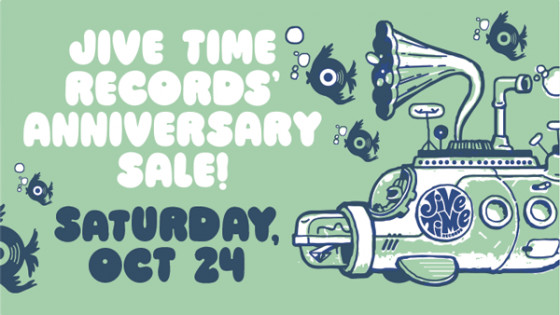 ALL USED VINYL & CD’S WILL BE 25% OFF. All new vinyl 10-20% off. PLUS: receive a FREE limited-edition, hand-screened poster with any purchase (while supplies last). The first 100 people to spend $100 or more receive a special Anniversary T-Shirt! Thank you Seattle for supporting Jive Time for 15 years!